Our Super Sprint event on Sunday was thoroughly enjoyed by all competitors and generated a lot of excitement. We welcomed a number of new members and some members who hadn't been sighted for some time made a reappearance, great to have you all back out there! The very doable 300m swim, 13km bike, 3km run format is ideal - SWIM BIKE RUN FUN then off for brekkie or coffee all before 8:30am - what a great way to spend Sunday!! Thanks to RD Tony Cox and our fantastic band of roster and other volunteers who assisted on the day. We really appreciate your efforts to make our events the success that they are. 1. Tony Cox & Lisa Payne have our grant submission for new racks and trailer completed. It is hoped we will have new racking system in operation in time for our Sprint Series in March 2016. 3. Robyn Stanley represented the club at NT Sport & Rec's Active Recreation Forum this week. 4. Tony prepared a submission to NT Parks & Wildlife re Casuarina Coastal Reserve Management Plan and highlighted club usage of the area for events and training. We are now on their stakeholder contact list. 5. Our new junior co-ordinator Melissa Lind is busy promoting junior activities via schools, setting up communication channels with parents and getting her head around all things junior at club level. 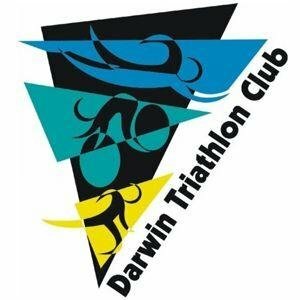 If you would like to assist Mel with junior activities please email darwintriclub@gmail.com. 6. School Sport Voucher Scheme - Robyn & Mel are looking into ways to utilise the scheme to offset against tri gear for juniors. Watch this space. 7. In conjunction with Triathlon NT, the committee is looking into the position on the calendar & format of Come & Try events. Could be some changes. Again watch this space. 8. You now have option of using PayPal when entering our events. 1. James Geddes was another member who sat with clipboard in hand for Super Tues Bike Count and nominated the club. Thanks James! 2. Always great to welcome back former members, especially past Dags of the Year. Thanks for calling in on Sunday Ray Hanrahan. 3. As you know, we normally reimburse those who take care of our fruit|ice, so big thanks to Jude Murdock who generously donated our post race refreshments on Sunday. Thanks Jude! 4. Nightcliff Pool is currently closed due to pump problems. 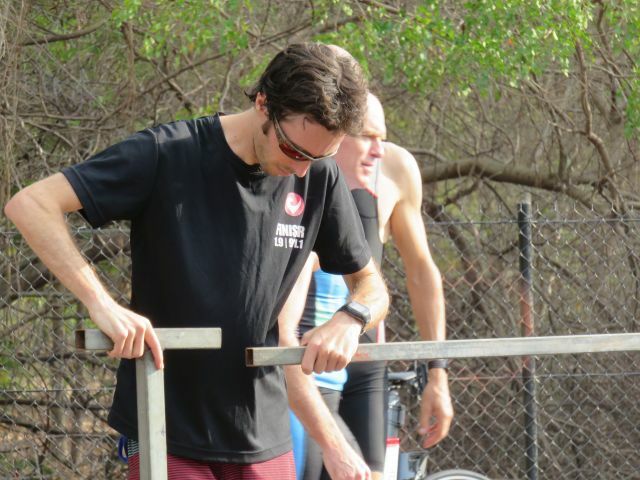 Swim squad conducted by coach Daryl Stanley will move to Casuarina Pool for tomorrow Thurs 6am-7am. 5. Haven't yet volunteered for an event on our calendar? The Fruit | Ice position might suit you. You can read how it works here. Please email if you can help fill any of the vacant positions on our Events Calendar. 6. Former members were able to catch up on Darwin news from those competing at Ironman 70.3 Sunshine Coast. Among them were Dave Glass who clocked a 5:30:42, Joy Glass 6:45:42, Chloe Kay 5:29:20 and Emma Cook 5:30:04 and Cath Meng on the sidelines cheering. 7. Wedding Bells: Ange Castle & Jamie Hagan are tying the knot. Congratulations! 8. It's ITU World Triathlon Series Grand Final time. Go the Ozzies! Many of you will remember Katie Kelly from her time at the club. Katie races with Michellie Jones as her guide on Friday in the Paratriathlon event. Go Katie! 9. A past member club connection with the recent Para-Cycling World Cup with Alistair Donohoe winning gold in the TT and silver in the road race. Big thank you to those who help set up and/or stay behind after events to assist packing our gear away.